My Go-To batting for thread painting, wall hangings and table decor as it takes lots of thread work well with smaller amounts of distortion and lays flat when quilted. 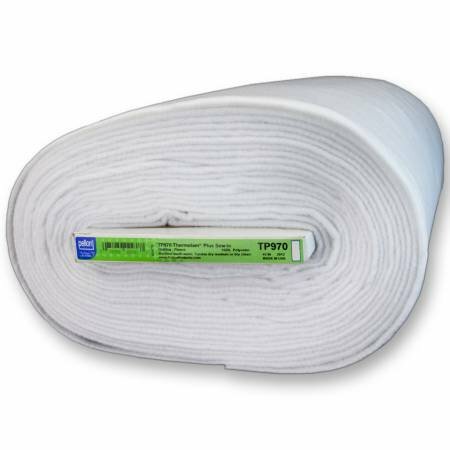 Thermolam® Plus Sew-In is a lofty, needle-punched fleece for quilting, garments, crafts and home decorating. It is compatible with all fabrics including knits. Thermolam® Plus is stable and compact for easy cutting and as it has no grain, can be cut any direction.